One day, when Isabella was a single young woman in her early twenties, she was chatting with three friends about a recent wedding they had all attended. Isabella Alden later conceded that when she made that statement, she was rather ignorant about life and the havoc it can wreak upon a simple wedding ceremony. But all Mrs. H.’s plans were for naught. 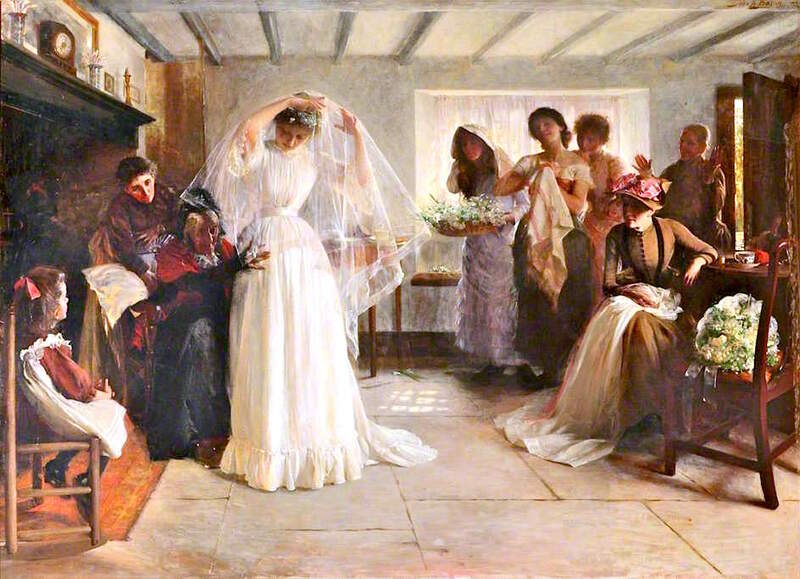 Instead of a grand church wedding with a reception after, she was married in a rush with as many members of the family as could be found at a moment’s notice. Instead of her wedding gown, she was married in the gingham dress she had put on in the afternoon, because there had been no time to change it. 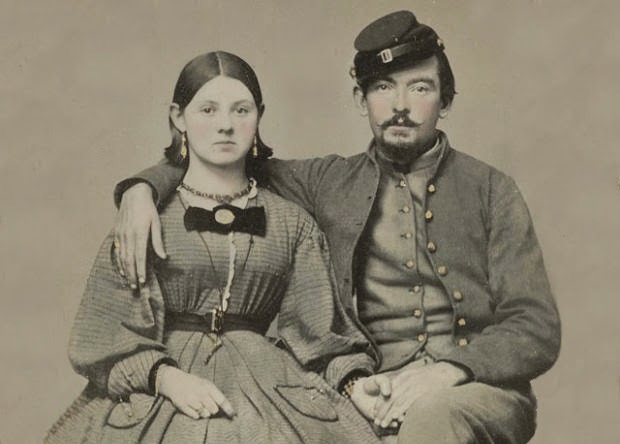 A hand-colored photo of a Civil War soldier and his sweetheart. Isabella never forgot Mrs. H.’s story. 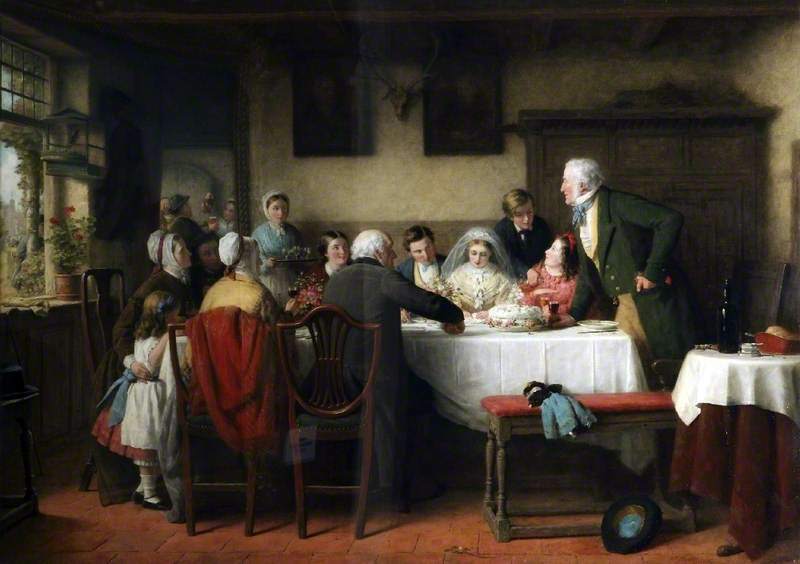 As a minister’s wife, Isabella must have attended hundreds of weddings over her lifetime, and observed for herself that there really was no “regular program” to follow when it came to weddings. 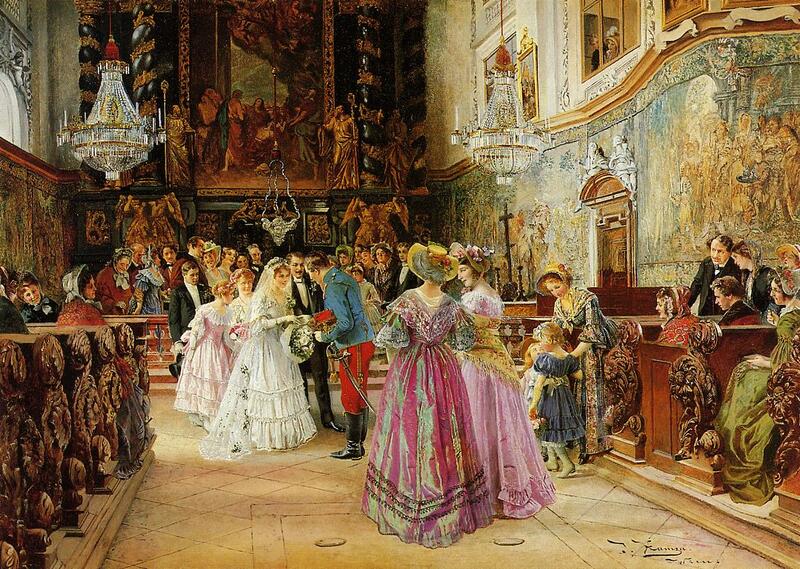 Isabella’s own wedding was relatively simple. She married Gustavus “Ross” Alden in her home town. She spent the night before her wedding in her old bed in her family home. Her mother woke her on her wedding day with a tender kiss. 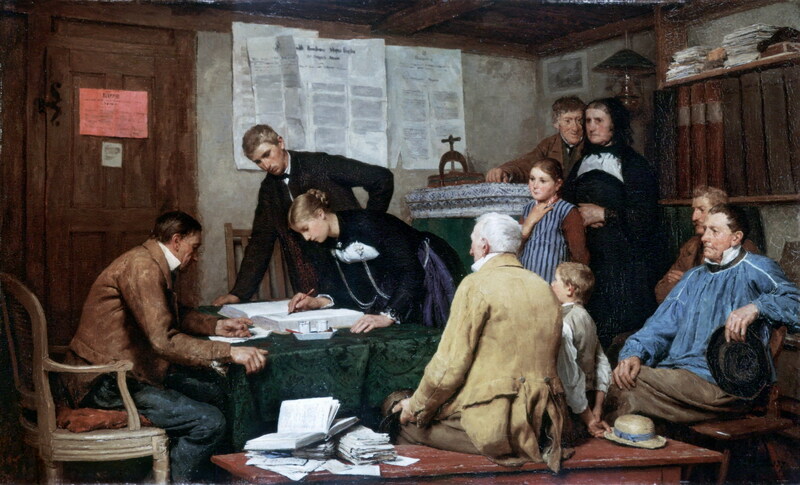 Isabella and Ross were married in the Presbyterian church she and her family had attended for decades. Afterward, the bridal party and guests returned to the house to celebrate the day with food and well wishes. As Isabella matured and gained more life experience, she did indeed learn that not all weddings were similar to her own. 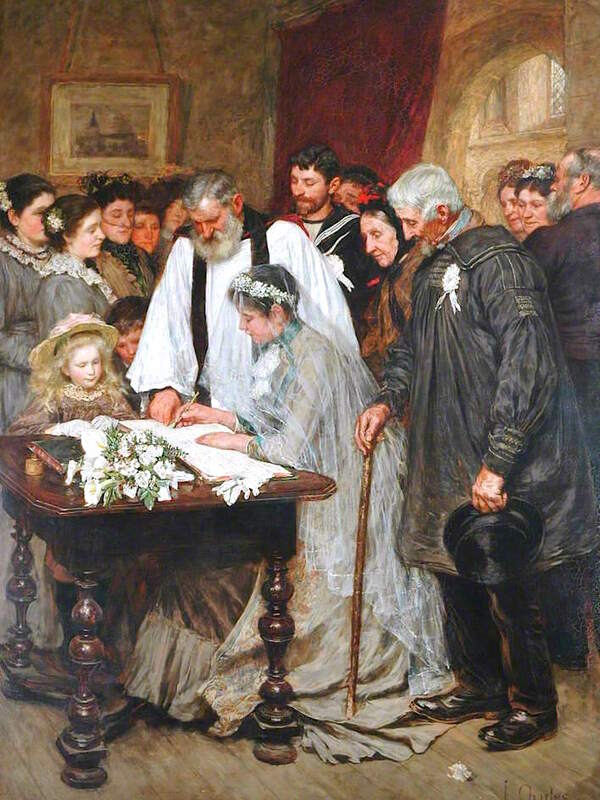 While many couples were married in a church as she was, quite a few were married by a justice of the peace in a civil ceremony. And while Isabella and Ross held their reception in her parents’ home, other couples chose more formal settings that could accommodate hundreds of invited guests. 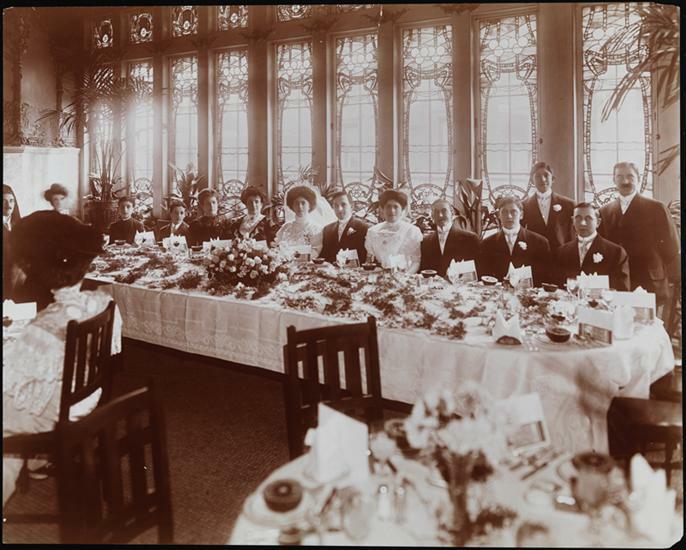 A wedding party seated at the head table in the banquet hall at the Hotel Belleclaire, New York City, 1908. In fact, Isabella probably read newspaper accounts of the most spectacular wedding America had ever seen when Alice Roosevelt, the daughter of President Theodore Roosevelt, married Nicholas Longworth III in Washington, D.C. Their wedding, which took place in February 1906, was the social event of the season. More than a thousand guests attended, while many thousands of spectators gathered outside the church, hoping for a glimpse of the bride. Alice wore a soft blue wedding dress instead of the traditional white. Later, she dramatically cut the wedding cake with a sword, borrowed from a military aide attending the reception, thereby sparking a tradition many military couples still follow today. 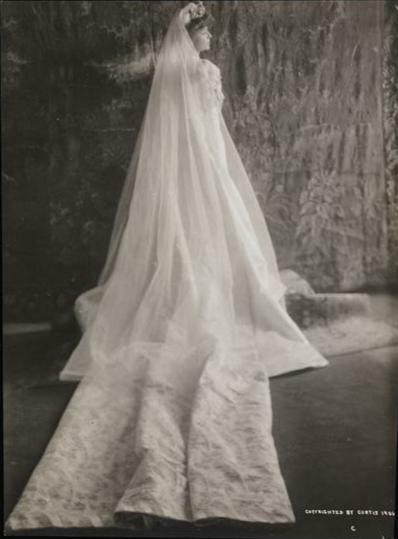 Alice Roosevelt in her wedding gown, 1906. Much has changed since that day in the early 1860s when Isabella uttered those innocent words about weddings always staying the same. Do you wonder what she would think about the creative ceremonies that are so popular with couples today? What’s the most unusual wedding you ever attended? Have you ever attended a wedding where everything went wrong, like the wedding Mrs. H. described? 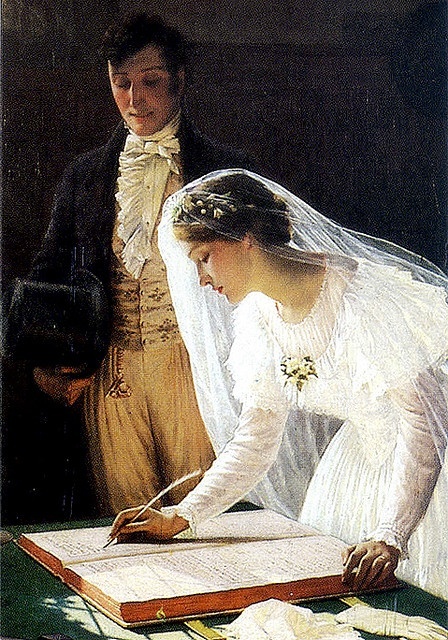 On May 30, 1866, twenty-four-year-old Isabella Macdonald married Ross Alden. Ross (whose full name was Gustavus Rossenberg Alden) was a thirty-four-year-old seminary student. Six months later, Ross was ordained by the Presbyterian Church, and they embarked on a life together of ministering to congregations and sharing their Christian faith.